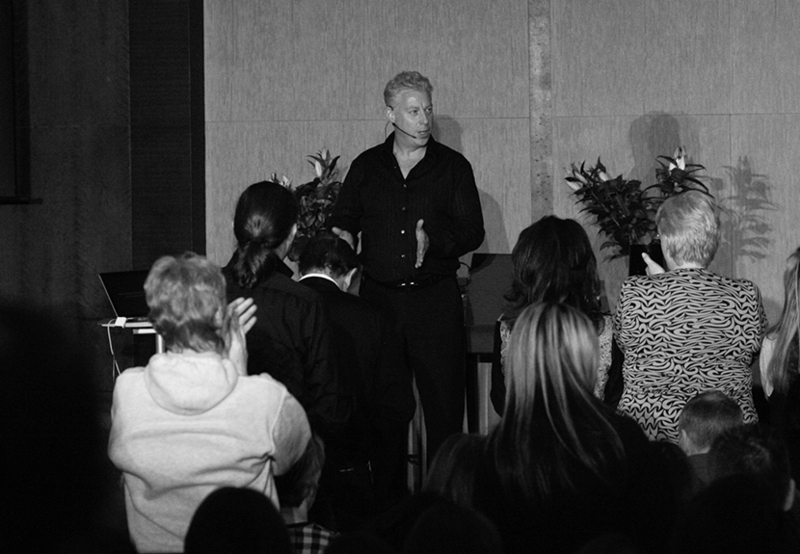 The Performance Partnership founder and Master Trainer, David Shephard, connects with his audience in a way that is inspiring and enduring. At the heart of his approach to training is a holistic process whereby students learn to replace bad habits and negative energy into habits which not only bring success but also magnify one’s capabilities and opportunities in life. The positive energy that he builds in his courses not only continues beyond the session, but for some, has proven life-changing. Thousands of people in the UK, and many more globally, can legitimately claim to be Trainers of the subject matter – over 1,000 of those have been trained by David himself. However, since 1975, only a few have been given the title of Master Trainer. It is a title that is only bestowed to those who have demonstrated a phenomenal theoretical and practical understanding of the subject, not to mention complete over 2,000 hours of study, training and practice. David is the one of the longest standing trainers of such quality on the planet. The Performance Partnership has taught thousands of people NLP techniques since 1995. We are experts and we still love doing what we do. Since its launch, The Performance Partnership has gone from strength to strength. David Shephard has done over 30,000 hours of coaching. David Shephard has been teaching and practicing Time Line Therapy® for over 20 years – longer than anyone else in the world, other than its creator Tad James. Pedigree and knowledge are critical when teaching people Time Line Therapy® and David Shephard is one of the world’s foremost authorities on the subject. We’re delighted to offer Master Practitioners of these four disciplines the opportunity to coach with a wonderful charity supporting veterans and their families. We are also delighted to be able to offer many business opportunities, from licensing to joint ventures, through both The Performance Partnership and Fix My Mind (our therapy brand). In 1995, The Performance Partnership delivered the first Accelerated NLP Practitioner Certification Course in the United Kingdom. This model is now used by many modern-day NLP Training Companies that we assist with new techniques every year. People who attend an NLP training course with us enjoy the close attention they get as part of their development. Many friendships and working relationships are forged during the training and carry on long after concludes. You only have to look at the thousands of people interacting on Facebook to see that. David Shephard, our Lead Trainer and Chairman, is not only on the Advisory Board of ANLP International, he is also President of The American Board of NLP. These are two of the largest NLP associations in the world. You want to go to the top! If you want to go to the top of the field as Master Trainer of NLP, Time Line Therapy®, and Hypnosis, we can enable you to achieve that too. Having completed your NLP Trainer’s Training and passed the NLP Trainer’s Evaluation, you could be invited to become a Master Trainer.